Thank you for purchasing your newest vehicle from Jaguar Charleston. Loaner Cars. We offer this complimentary service by appointment through your service advisor. We ask that you return the car with the same amount of furl as when you picked the car up in service and it is returned the same day as you are contacted that your vehicle is ready. Additional fees may be applicable if the loaner car is not returned when you are advised that your vehicle is ready. (Not available for Body Shop repairs or the Reconditioning Shop. Jaguar Charleston understands there are times that emergencies happen and we will do our best to accommodate you as quickly as possible in those instances. We can only offer these services for vehicles that are being serviced at our facilities. (No Body Shop repairs or Reconditioning Shop). 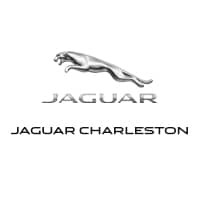 Jaguar Charleston and their drivers will be held harmless for any damages incurred while transporting your vehicle to and from Jaguar Charleston.